Service to humanity they say profits who serves best. 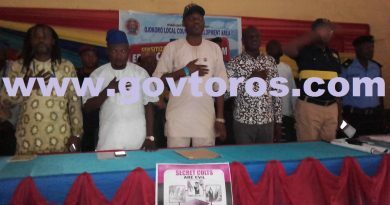 This is not an exception as the Executive Chairman of Ojokoro Local Council Development Area (LCDA), Hon. 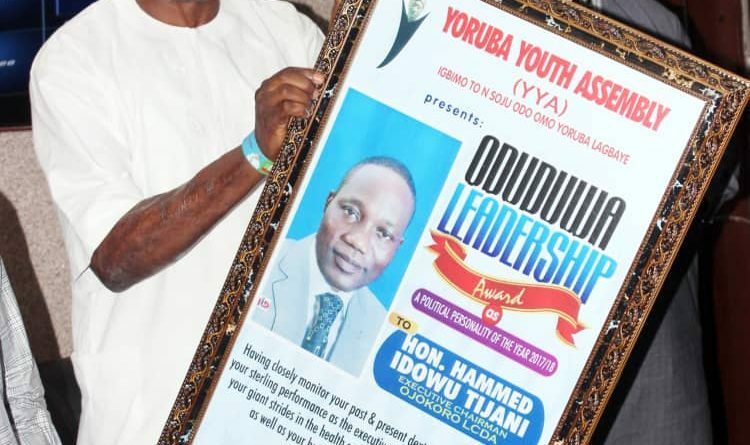 Hammed Idowu D. Tijani (HID) again bags another award from Yoruba Youth Assembly (YYA) for his contribution towards educational advancement of the students and youths in the LCDA and its environs. Members of the socio cultural group made known that they had been watching the activities of the council boss and deemed it fit to award him for his due diligence. 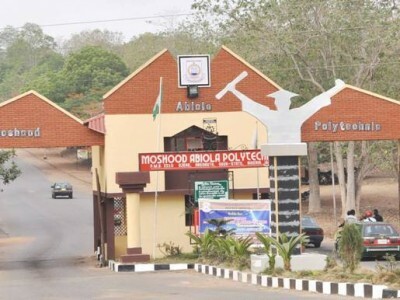 The President of the assembly Mr. Babalola who spoke on the rate at which the common man on the street could not afford to send his wards to school or afford buying writing materials with other things needed for their children to triumph educationally. These have made several students drop out of school. “This award is being given to you on merit because we took our time to monitor your activities in the last 365days and you are the most qualified to be our Political Personality of the Year 2017/2018 and this is not to praise you but to tell you to do more”, Babalola said. “We are not a political party and we do not have interest in politics but we will always appreciate and sympathize with the progressives because we are progressive minded too”, he concluded. 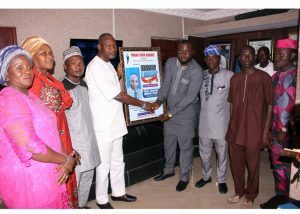 Reacting to YYA, the council boss cherished the gesture of the group for taking time to observe the activities of people in government even when he never knew people were watching. Hon. Hammed further appreciated the Executive Governor, Mr. Akinwunmi Ambode for the supports being enjoyed by the LCDA as these had made it possible for the council to perform her duties to the people in several sectors. “We say a very big thank you Sir”, he said. “What you we do are part of our social contracts to our people and we must make sure we fulfill our own part of the social contracts since the people had done theirs by giving us their mandate. We pray God continue to be with us to do more”, Hon. Tijani said. “We will continue to give free writing materials to all our public primary school students at the beginning of every session and we have given out over 100,000 books and writing materials to our people”, he concluded. The Leader of the legislative arm of the council, Hon. Abdoulazziz Osho appreciated the YYA for seeing Ojokoro worthy and urged the entire Nigerian youths to ensure they go get their PVCs and register for those who are yet to do same as that is the only way to sustain our democracy.